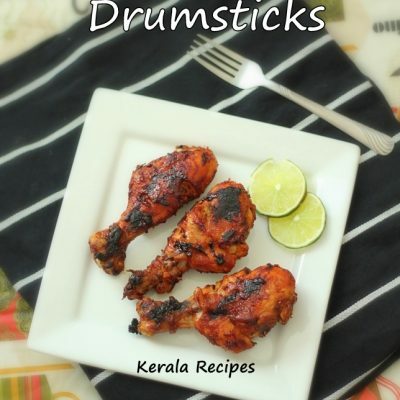 Thanks to my family, friends and all readers for supporting Kerala Recipes. I hope you have thoroughly enjoyed visiting this site. 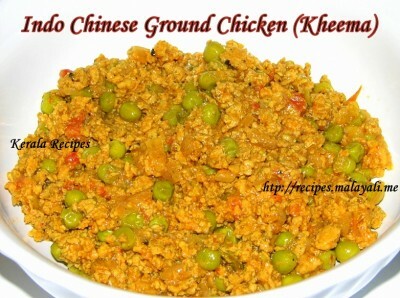 Ground Chicken (Kheema) is quite versatile and can be used in many recipes. It requires very less cooking time. I often buy ground chicken since it’s lower in fat compared to ground beef and pork. I was bored with the regular Indian style Kheema Curry and wanted to try a new recipe. I thought of adding a few Chinese sauces like Soy Sauce and Chilly Garlic Sauce while making the curry. Surprisingly, it came out very well and we relished it. 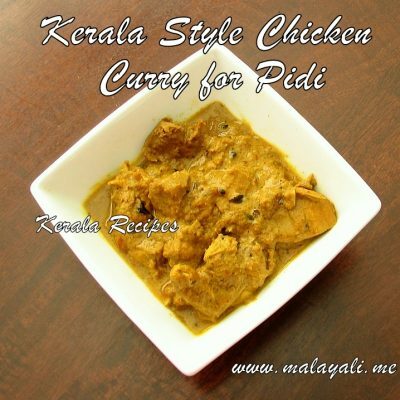 Here is the recipe for making a nice Indo Chinese style Chicken Kheema curry. This Chicken Kheema tastes yummy and goes well with Bread & Rotis. 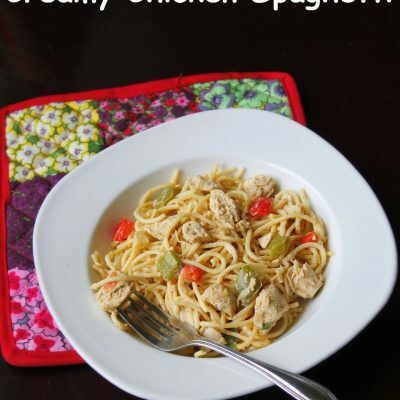 You can add this Chicken Kheema to any Pasta to make an excellent dish. 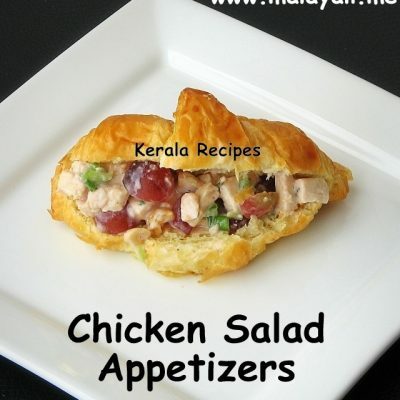 Wash the minced chicken thoroughly in a colander atleast 3 or 4 times and allow it to drain. Marinate the ground chicken with the above ingredients and keep it aside for around 15-20 minutes. Meanwhile, heat 2 tbsp oil in a wok and add onions. Saute till the onions become translucent. Add the diced tomatoes along with salt and allow it to cook until pulpy. Reduce heat and add ginger garlic paste. Stir fry for 2 minutes. 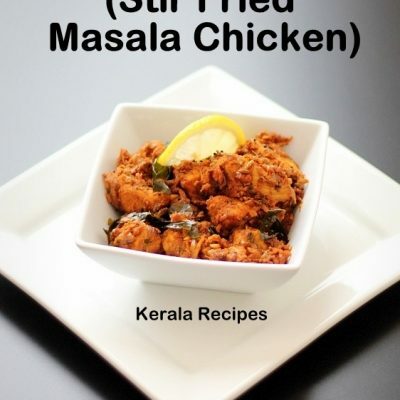 Add 2 tbsp chicken masala powder, 1 tsp garam masala powder, 1/2 tsp pepper pwder and saute for a minute. Add the marinated ground chicken to the pan along with 1/2 cup water. Add salt to taste and mix everything well. Cover and cook on medium heat for around 8-10 minutes. Open the pan and add soy sauce, rice vinegar and hot & sweet tomato chilly sauce. Cover and continue cooking for another 5 minutes. Open the pan and add green peas. If the gravy has reduced, add 1/2 cup of water to the pan and mix well. Continue cooking for around 5-8 minutes till the Minced Chicken is cooked and the gravy has reduced. Sprinkle lemon juice for an extra flavor. Serve this Spicy Indo-Chinese Kheema along with any Bread or Rotis. You can use any Sweet Chilly Sauce instead of Maggi Hot & Sweet Tomato Chilly Sauce. Words cannot express how proud I am about you and this website. And yet it took me this long to put it in words. Nevertheless that would not in anyway change what I feel. 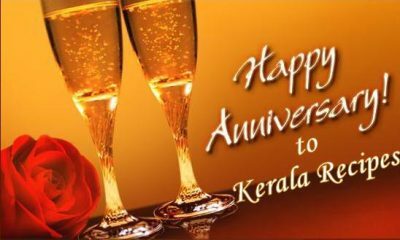 Congrats sweetheart!